Today is Perfect Picture Book Friday – I review a picture book, provide a simple fun craft you can do with your kids and then I link up with dozens of other writers, moms, librarians and other lovers of picture books on Susanna Leonard Hill’s blog. If you are a mom, teacher or librarian, please check out Susanna’s amazing Perfect Picture Book page with over 1000 categorized picture book reviews and activities. I love reviewing picture books! It gives me the perfect excuse to read them myself, just in case I can’t find a willing child-listener. But most of all, I love reviewing picture books written by my friends! Julie Hedlund, founder of the 12×12 Picture Book Challenge, has a beautiful new picture book out – and I just had to tell you about it. Rising to your tender heart. Move over, Goodnight Moon. This book will help every child feel safe, secure and loved. The book is available on Amazon, Barnes and Noble or ask at your independent book store. 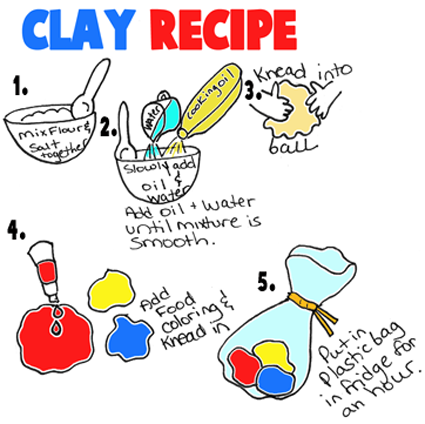 Visit the link from Artists Helping Children to find many more clay projects. They are one of the best online resources for kid’s crafts! 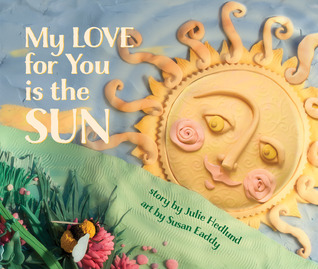 This entry was posted in Clay Craft for kids, My Love For You Is The Sun, Perfect Picture Book Friday, Picture book reviews and tagged #PPBF, Clay horse craft, Emma Walton Hamilton, Julie Hedlund, My Love for you is the Sun, Susan Eaddy by viviankirkfield. Bookmark the permalink. I look forward to reading Julie’s book. Great review! Glad you added this to the list. We’ve read a digital copy only and have enjoyed it. Looking forward to reading the book together at bedtime or anytime. Thanks for the clay crafts. The book looks delightful and I am very excited about the clay recipe too! I love working with clay, Iza. And I couldn’t believe that the illustrations in Julie’s book were made of clay…incredible!